It’s not hard to lead talented people with an aligned vision who fall under the umbrella of an iconic brand that has a cult-like consumer following. This describes Ron Johnson’s role as head of Apple’s retail operation prior to assuming the CEO role at J.C. Penney. Johnson was fired today by JCP as his efforts to rebrand and turnaround the struggling retailer failed to get traction. In June of 2012 I predicted Johnson’s failure as I warned of cookie cutter leadership practices in a Forbes column entitled Culture: Don’t Copy – Create. While the aforementioned Forbes column offers an insight into why the turnaround failed under Johnson’s leadership, it points to a much bigger issue – another example of a board of directors tapping the wrong CEO for the job. Penney’s opted for star power, when what they should have done was hire a CEO with proven turnaround experience. Penney’s didn’t need cool – they needed someone who understood the JCP culture, the JCP consumer, and the JCP business, all of which varied radically from Johnson’s Apple experience. Penney’s board opted for a silver bullet that didn’t exist. Rather than do the hard work and heavy lifting necessary to turnaround a brand that had been mismanaged for years, they wanted a quick fix – they bought smoke and mirrors rather than sound business practice. You can’t lead with cool – cool must be earned. The label of cool comes as a result of great business decisions and outstanding leadership. 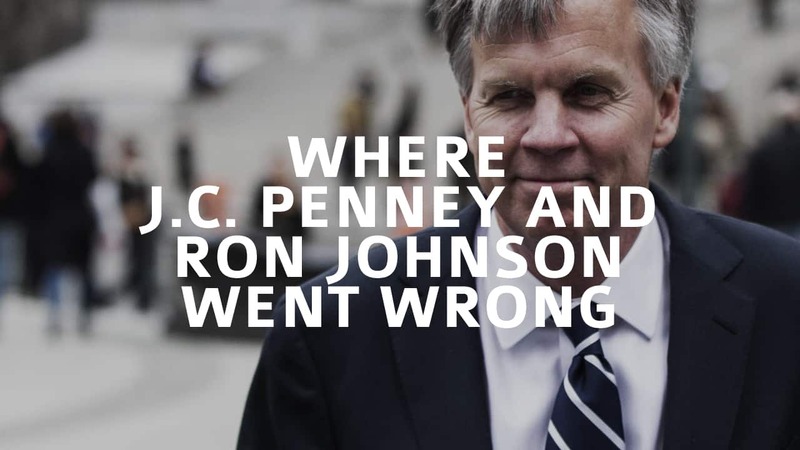 While JCP was broken long before Johnson took the helm, the retailer’s performance clearly declined under his leadership. The thing is, it didn’t have to happen, and oddly enough, I blame Penney’s board and their search firm just as much as Johnson. There were a dozen candidates who would have been a better selection, but they just had a demonstrable track of turning around businesses – they weren’t considered cool. Here’s the thing – had they made the right choice, for the right reasons, everyone would be looking cool right now. Succession matters – especially CEO successions. Let me give credit where credit is due – Johnson didn’t do everything wrong, in fact, he made some long overdue changes. That said, he misfired on the big ones of culture, business model and understanding the consumer. Most importantly, he failed to produce results. A lesson for all would-be turnaround CEOs. Yes. Boards that hire for popularity and perception fail to serve the best interests of the organizations they represent. It’s clear these directors have not read Good to Great or dozens of other leadership books that demonstrate the fallacy of a silver-bullet when it comes to leadership succession. It’s not leadership if the name of the leader is as big of news as the role they play or the results they drive. That’s called theater. Spot-on Ben. Not all boards suffer from this issue, but it’s clearly more systemic than most would care to admit. Very interesting insights Mike! Thanks for putting this on my radar. It will be fascinating to see JCP’s next move. I worked in the board room for a few years (as an employee) and witnessed many “bad” decisions. Unfortunately, I didn’t get to see many good ones. The thing I noticed about the board I worked with is that they were a lot like politicians. They seemed much more concerned with how they were perceived than what would actually be best for the company. It seems to me that even if JCP gets a great turn around guy, if they don’t get out of the way, it could be disastrous anyway. Agree or disagree? Thanks for sharing your insights Bob. JCP is not beyond repair, but it needs bold, decisive action from a leader who actually understands and cares for all the actors. I like to say the plausibility of impossibility only becomes a probability in the absence of leadership. Agree with your points but it seems like the board might take even more than half the blame. Case in point: rehiring the CEO who they had just replaced? Curious as to your thoughts on that decision. Speaks to desperation – just because a decision can be made quickly and easily, doesn’t make it the right decision. I understand their desire for triage, but this wasn’t the right move at any level. Funny how bad decisions tend to build on one another. Thanks Aaron. I, too, had wondered what was going to happen when I heard who they had hired back then. Just goes to show cool isn’t all it’s cracked up to be. But I do have to give Ron credit. He took some big risks with a flailing company. You don’t see that done very often. Too bad it didn’t succeed the way he hoped. 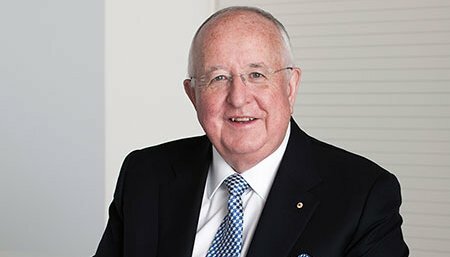 Agreed – I have no problem with the innovative ideas Ron attempted, aside from the fact most of them had no real connection to Penney’s target consumer:). I seen it as them trying to change their target customer. I think the new feel didn’t appeal to their current customers. That’s where the problem arose. Agreed, Mike. In an attempt to show commitment, he also had no “Plan B”. When I saw one interview with him, when asked what the company would do if it didn’t work, he said there was no other option. In retail–where you may need to constantly try new things–that seemed to secure the end result.